All hamper orders are charged to your card upon checkout of your order. The security of your online purchase is of paramount importance to us. All transactions are processed by PayPal using the latest available security technology. All data sent to our server, to PayPal, and the data returned to you when viewing a secure page is encrypted to prevent unauthorised persons intercepting your details. When you enter the checkout area of our site you will move to our secure server. If you would prefer to order by phone, feel free to telephone or fax us using the numbers above. You can instantly see that a page is being viewed in secure mode as the URL (address) will start with "https://" instead of the usual "http://". The extra "s" stands for secure, this can also be validated as secure pages have a small gold padlock icon displayed in most browser windows. Next Day, weekday delivery charges to most UK mainland destinations (click here for postcode areas where additional delivery charges apply) are included in the hamper price quoted. Saturday deliveries carry an additional charge and are only available in some areas. For overseas deliveries please call our Hamper Team (Mon – Fri) on 01609 777 700 to obtain a quote. 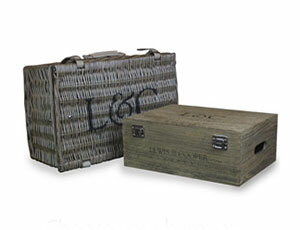 All mail order hampers are securely packed in a Lewis & Cooper postal carton for transport purposes. Please note that after despatch, any changes to the hamper delivery address will incur additional charges. To help get your hamper to your recipient on time there are a few ways in which you can help us. Please consider adding on a telephone number to the order for the recipient, this helps our couriers find addresses in case they have difficulties finding the address. We deliver Monday to Friday during working hours, so if you think that your recipient may not be in, please consider sending it to their work address. If you think that the delivery location may be hard to find you can always call us on 01609 777700 and leave specific delivery instructions with one of our team to pass on to the courier. If the delivery is unsuccessful because of inaccurate information there may be a cost to you for redelivery or for any replacement items needed (due to excessive time out of refrigeration). Customers have the right to cancel their order without reason by informing us within 7 working days of receipt of the goods, and returning the goods to us. In this case they will receive a full refund less any charge for perishable goods which cannot be resold and any items which have been unsealed or consumed. Refund will take place within 30 days of written notice of cancellation once the hamper has been returned to us suitably packaged. All returned items must be in good condition. In these circumstances Lewis & Cooper will not be responsible for the cost of returning goods. Notification of order cancellation must be in writing. It is the policy of Lewis & Cooper to ensure that all our goods are supplied to our customers in perfect condition and that every possible precaution is taken to protect the integrity of the product that is sold. To this end, we do not exchange food, beverage or any other item that has come into contact with the person. This policy does not affect your statutory rights. Every effort will be made to supply the items as specified. 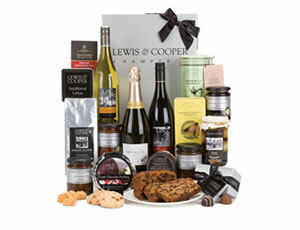 However, the contents of the Hampers are subject to demand, availability and ruling prices. Lewis & Cooper reserve the right to substitute items of a similar value, should the need arise. You are within your rights to decline any such substitute items. In this event you must notify us within 7 days of receipt of the goods and we will make arrangements to collect them from your address. You will receive a refund of the value of any such goods returned to us unopened within 30 days of our receipt of the goods. The hampers and gift boxes pictured contain only the items listed. Claims for damage or loss in transit will be met provided the goods are signed for on receipt as either ‘damaged' or ‘unexamined' and we are informed at once and confirmed in writing within 3 days of delivery. Damaged goods must be retained for inspection and Lewis & Cooper may wish to make arrangements for return of the goods to us at our expense. Returned goods should be clearly marked with the sender's name and address. Our liability is limited to the selling price of the goods in all cases. It is illegal to sell alcohol to persons under the age of 18. It is also an offence for persons under 18 to buy, or attempt to buy alcohol. No person under the age of 18 may place an order with Lewis & Cooper Ltd if the goods contain alcohol. Lewis & Cooper Ltd is compliant with the Data Protection Act. 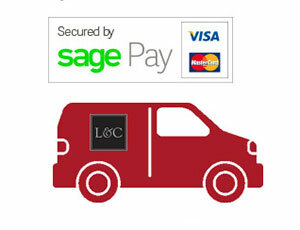 When you order, we will receive personal or company details which enable us to process your order. We will not pass your details onto any third party organisation and will treat your details with complete confidentiality. We may occasionally send you promotional material relating to Lewis & Cooper Ltd and its associated businesses only. If you do not wish to receive such material then you may contact us on 01609 777 700 and we will remove your details from our mailing list. The information we hold will be accurate and up to date. You can check the information we hold about you by contacting us and if you find any inaccuracies we will delete or amend them.